The United Nations 21st ‘Conference of Parties’ meeting that took place in December 2015 was aimed at establishing a global agreement to limit greenhouse gas emissions to avoid the worst impacts of climate change. Yet in 20 years of UN climate change talks, global emissions have risen by 63%. Increasingly, these talks are dominated by corporate interests. The talks in Paris were being held at an airport and were sponsored by an airline. Other major polluters included energy companies, car manufacturers and banks. 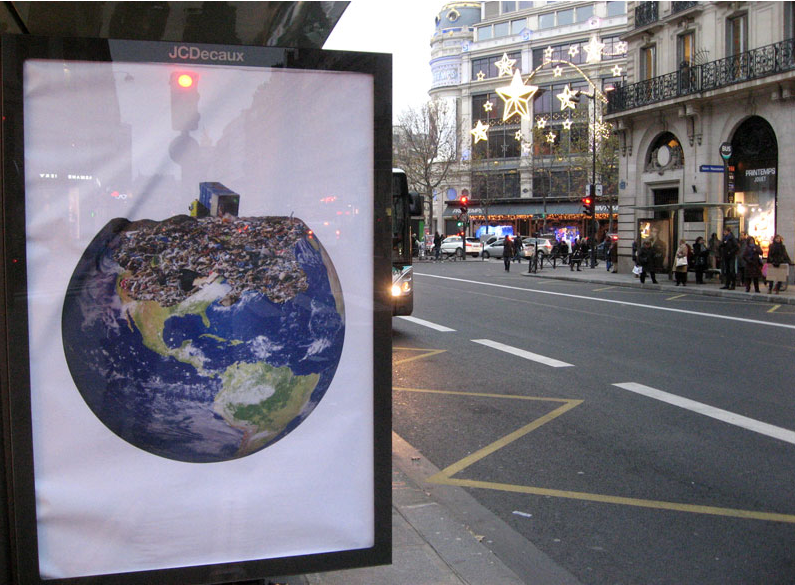 By working internationally with over 80 artists to install 600 bus shelter posters, Brandalism aimed to creatively expose this corporate greenwashing whilst further highlighting the devastating links between advertising and climate change.